​​​​The fortieth anniversary Super Bowl headed for the bitter cold of Detroit and Ford Field, and much like Super Bowl XXXII, Seattle Seahawks' fans aside, the sentimental favorite was the Pittsburgh Steelers and Jerome Bettis, who was playing in his last ever game, in his home town to boot. The contest was still close going into the halftime, with the Pittsburgh Steelers ahead, 7-3. However, in the second half, two big plays would prove to be the difference between the two teams. Willie Parker would break through the Seahawks' defense early in the third quarter, and gallop 75 yards for a touchdown, stretching the Steelers' lead to 14-3. After Seattle had closed the gap to 14-10, the Steelers reached into the extensive bag of trick plays, and sealed the game with the contest's final points. 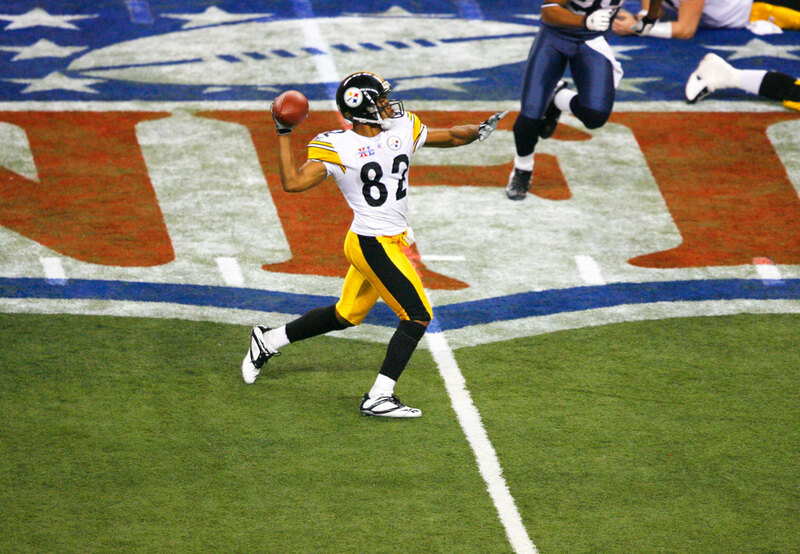 Quarterback, Ben Roethlisberger would hand the ball to receiver, Antwaan Randle El - himself a quarterback in college - who would then launch the pass to the game's MVP, Hines Ward, who literally leaped into end zone. 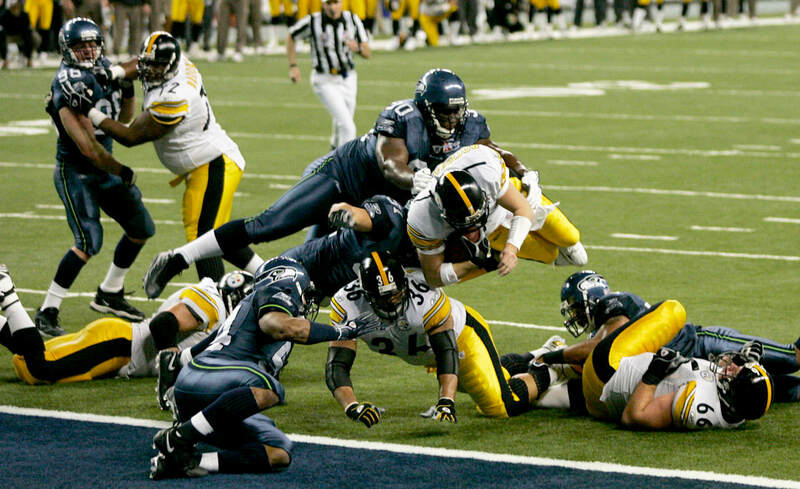 Super Bowl XL was perhaps more famous for some of the officiating and controversial calls made throughout the game, not least, the opening touchdown for the Steelers. 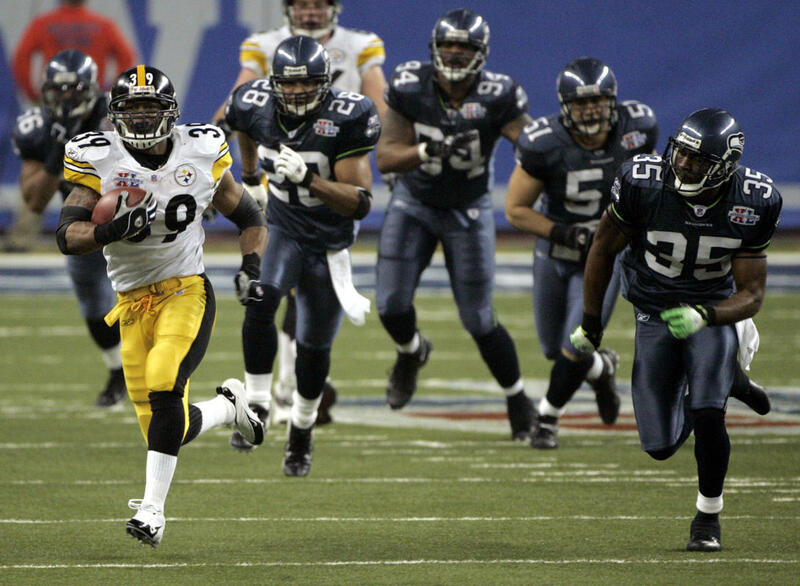 The win was the fifth Super Bowl victory for the Steelers, tying the record (at the time) held by the Dallas Cowboys and the San Francisco 49ers. 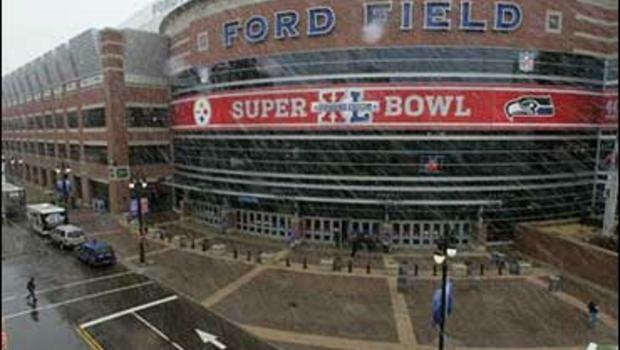 ​​Far from being the sunny paradise that is usually Miami, Florida on Super Sunday, Super Bowl XLI was contested under a constant downpour, which only added to the occasion.